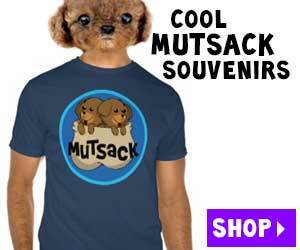 Mutsack.com is where you’ll find a variety of cartoons and some other things we create. At Mutsack we write, voice, and animate. Mutsack was started by Adam Malamut who has now teamed up with his brother, Craig, and other talented creators. Adam is a self-taught animator who has worked in Los Angeles as a television writer/producer before founding Mutsack. Before that, he graduated from Emerson College in Boston. Craig Malamut attended Wesleyan University in CT where he received a BA and MA in astrophysics. We’ll eventually figure out a way to integrate that, but for now, we just make silly cartoons. We’re always interested in new opportunities, so feel free to contact us at mutsack [at] gmail [dot] com.